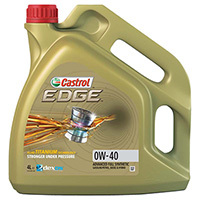 0W40 engine oil boosts performance in high-displacement engines. It will also prolong the life of your engine – something that’s especially important with performance vehicles. Scroll down to explore the selection. 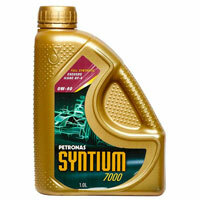 Engine oil is a vitally important part of your car's maintenance, and neglecting it runs the risk of damage and wear. It keeps all the moving parts from grinding against one another and generating heat and friction that can cause premature wear. 0W40 engine oil tends to be used in high-displacement engines, such as those installed in sports and racing cars. It offers great starting performance in cold temperatures, as well as when the engine is heated up for a sustained period. 0W40 oil is usually synthetic rather than mineral, meaning it has been carefully developed in a lab to ensure it meets the needs of a high-performance engine. It will also normally contain protective additives like dispersants, corrosion inhibitors and detergents. Check the owner's manual for the recommended oil grade for your engine, then scroll up to view our range, including brands like Shell, Mobil and Castrol.